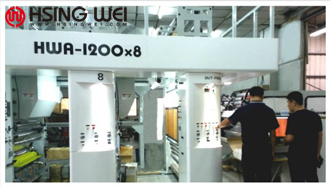 Costly effect high quality rotogravure printing machine is installed to Japan. Turret type on unwind and rewind with no-stop auto splicing. 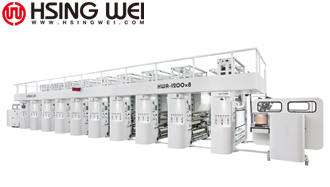 User friendly design within few hours operators are available to understand how to operate Hsing Wei Rotogravure printing machine. Ink furnishing roller and shaftless clamping system are good features on this rotogravure printing machine. 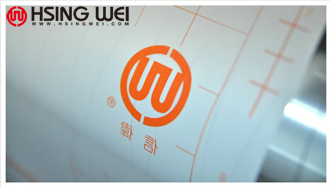 Hsing Wei can offer low labors cost advantage, minimal wastage and faster precise printing result to customers. 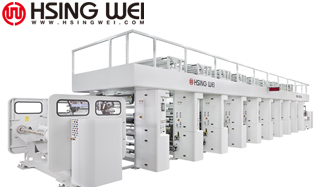 Let your business grow with Hsing Wei Machine.